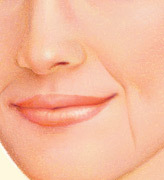 The visible signs of facial aging occur over time as a result of sun exposure, heredity and life style. 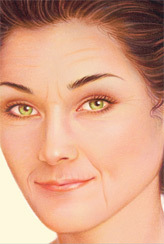 One of the earliest signs of aging is a loss of facial fullness and the development of wrinkles. Softening of these facial lines and the restoration of volume and fullness in the face often can be achieved non-surgically with injectable fillers. If you would like to restore facial contours, or reduce the appearance of lines and creases, injection therapy by Dr. Weinstein of Chester, New Jersey with soft tissue fillers may be right for you. Soft tissue augmentation does not stop the aging process. 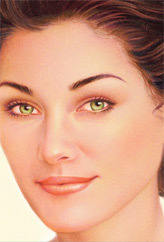 If you wish to change the elements of your face, surgery such as a facelift, brow lift or eye lift may be the answer.Many before and after photographs can be seen of Dr. Larry Weinstein's patients on his websites at www.docweinstein.com or www.drlarryweinstein.com . He performs most of these procedures in his office facility in Chester, New Jersey. Artefill/ BovineCollagen is a natural protein that supports the skin with a long lasting biospere. Injectable Artefill has a carriar derived from bovine collagen that, unlike human derived collagen, require prior allergy testing. The results may last 3 to 5 years. Hyaluronic Acid is a natural substance found in our bodies. It is well suited to plump thin lips and fill facial creases such as nasolabial folds. It may also be appropriate for some surface wrinkles and concave scars. The results may last 6 months to 12 months or longer. Radiesse / Hydroxylapatite is a mineral-like compound found naturally in human bones, suspended in a gel-like formulation. It is the heaviest of facial fillers and is recommended to fill deeper creases such as nasolabial folds, marionette lines and frown lines, as well as to enhance fullness of the cheeks and other facial contours. This filler lasts 1-2 years. Important facts about the safety and risks of tissue fillers. The decision to have soft tissue augmentation is extremely personal and you’ll have to decide if the benefits will achieve your goals and if the risks and potential complications are acceptable. An “over-filled” appearance to treated areas Mild swelling or redness.